Are you excited about those Bibles? “I love getting to see the students huddle together and help each other memorize different verses. They get so excited as they learn more verses and gain a better understanding of God’s word. Last week two of my students finished saying 25 verses. Yesterday I had them over for a little celebration so they could see how excited I was for them. The three of us had some sodas, talked about the verses they learned, what some of their favorite verses were and how they would use their Bibles. 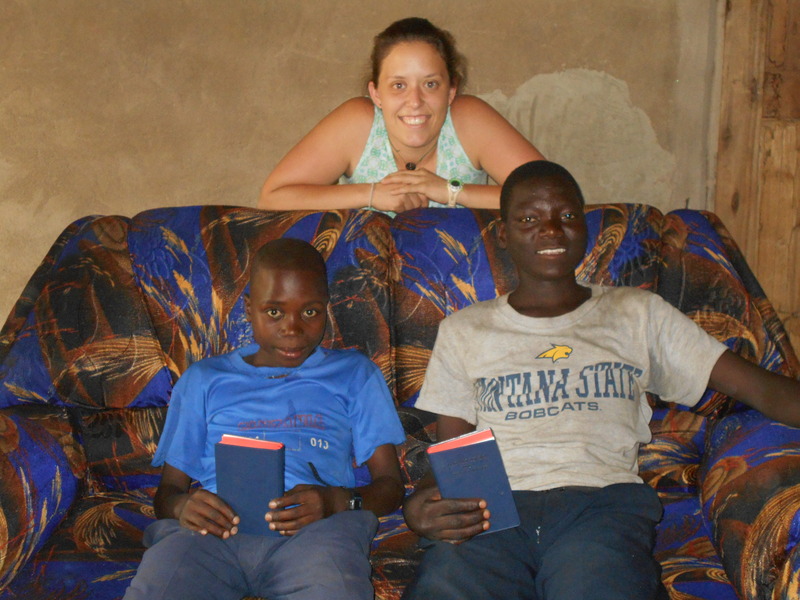 Both of them were very excited when I handed them their Bibles and spent the whole time looking through them. I have multiple Bibles in my home, and access to a dozen or more through my Kindle alone. I do read them. I do memorize a verse now and then. But I can’t remember the last time I opened my Bible and really thought about what a privilege it is to have one. Tomorrow, when I sit down to read Gods Word (or plug in my head phones to listen to an audio version) I’m going to think about Sara and her students. And my heart is going to dance for joy! P.S. Please pray for Sara and for VSI. They are doing awesome work! This entry was posted in Bible, Happiness, joy, Uncategorized and tagged Bible Appreciation, Christianity, Missions, Village Schools International by brendakoinis. Bookmark the permalink.